Directions: From Cape Town head north on the R27 to Bloubergstrand. In Bloubergstrand, turn left onto Marine Dr. 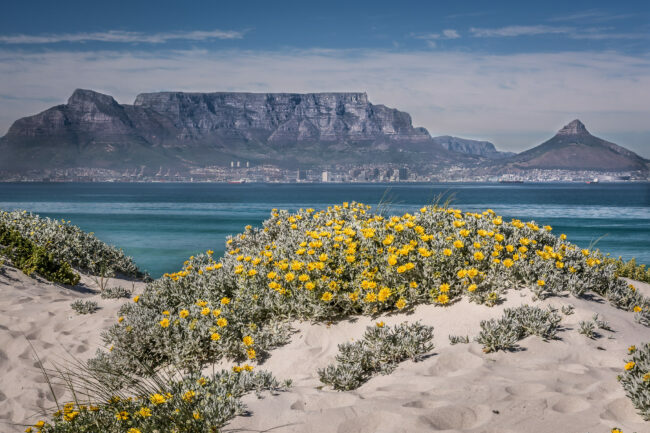 Almost anywhere along the road, you can pull over and walk to the beach for a magnificent of Table Mountain with the city of Cape Town in the foreground. Cape Town, South Africa has to be one of the word’s most beautiful cities. With its mountains, oceans, wildlife, birdlife and unique and incredibly diverse flora there is so much to see and photograph. One of the highlights is Table Mountain, which at over 3,000′ towers over the city. There are many ways to photograph Table Mountain, including scenes from on the mountain accessible via the cableway. 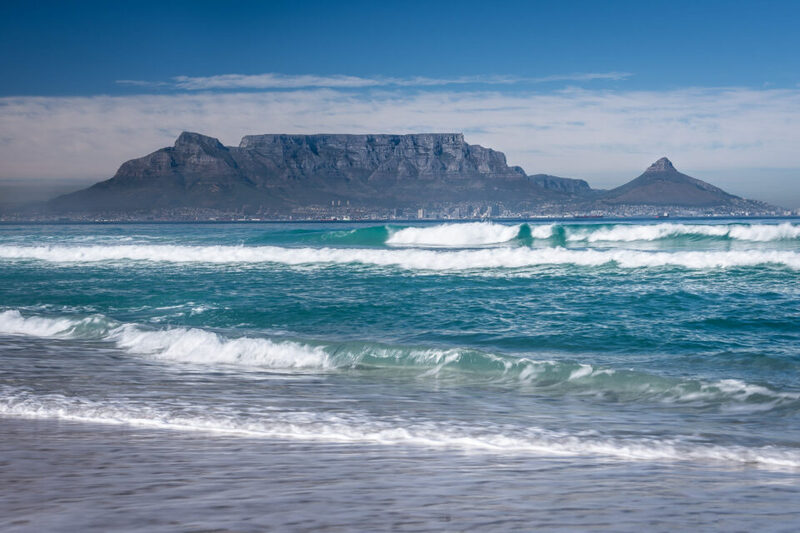 One of the most magnificent views is the one across Table Bay from the north and the best location is the beaches of Bloubergstrand, which is an Afrikaans name that literally translated into English means “blue mountain beach”.